Seattle weather extremes help account for the fact that Washington State is one of the most frequent locations of Presidentially declared weather-realted disasters. Many of these events not only affect Washington, but impact other surrounding Pacific Northwest states. 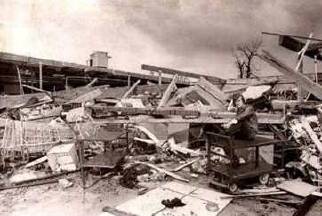 Well, there are have been many different demonstrations of weather extremes that have occurred here over the past 100 years, everything from windstorms to flooding to snowstorms. 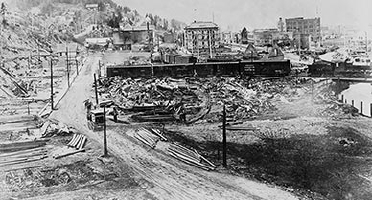 Below is a list from the National Weather Service of the top ten weather-related events that have happened in Washington State during the 1900s. Most of these come from the latter half of the century because more weather-related data was recorded then, but there are some extreme weather events that go back to the early part of the century. Several rivers in both western and eastern Washington flooded and caused two deaths, an estimated $250 million in damage, and the I-90 floating bridge over Lake Washington sank. On February 1st, 21.5 inches of snow fell, resulting in the most snowfall ever recorded in a 24-hour period in Seattle. In total, 58 inches of snow fell during January and February which pretty much put the whole region at a standstill. 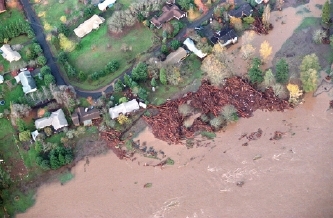 More flooding in western and southeast Washington that caused $800 million in damage throughout the region (including Oregon and Idaho). 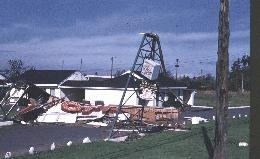 There were more tornado deaths in Washington in 1972 than in any other state. An F3 tornado touched down in Vancouver followed by another F3 west of Spokane and an F2 tornado in Stevens county. 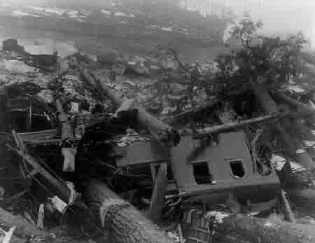 This was the deadliest avalanche in US history, and caused the deaths of 96 people when two trains were swept off the tracks into a ravine. Ash made it all the way to parts of Eastern Washington and looked like snow falling. On a side note, my mother-in-law was living in Seattle when the eruption happened. This massive forest fire created it's own weather, causing ships in the Pacific to be lost in the smoke and the smoke even reached the Atlantic! This fire was actually the catalyst for America's conservation efforts. This was the 2nd greatest snowfall in Seattle's history, with 21.4 inches of snow falling. This winter was the was the coldest one in record for Seattle with an average temperature of just over 34 degrees. This flooding was caused by the spring snow melting and lasted an incredible 45 days throughout Idaho, Washington, and all the way to the Pacific Ocean (along the Columbia River). And the greatest Seattle weather extreme? According to the National Weather Service, this was the "strongest widespread non-hurricane wind storm to strike the continental US during the 1900s." 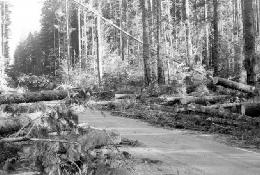 Forty-six people died and $750 million worth of timber was blown down, with added property damage of $235 million. Back from Seattle weather extremes.